I love batch cooking. Preparing several dishes in advance so that I can just open the fridge and have food ready to serve is something I need to do more of. Last Saturday I took the opportunity to do just that. 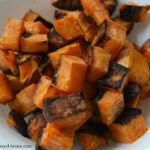 I roasted a bunch of root veggies we had in our fridge, and made several salads – one was the chopped fresh vegetable salad I made last week. Another that was a huge hit was a black bean salsa type dish. Soak black beans overnight, or use the quick soak method (boil for 2 minutes, then let sit for an hour). Cover black beans with water and gently boil until they are cooked. Rinse black beans with cold water and then drain. Pour the black beans in a large bowl. Rinse canned corn and put in bowl (or rinse 1 1/2 cups frozen sweet corn under warm water until defrosted). Add pepper, tomatoes, onion, cilantro, lime, chili powder and salt. I didn’t put jalapenos in because I didn’t want it too spicy for the kids, but I would add 2-3 jalapenos if I were just making it for Matt and I. This was absolutely amazing. I ate it as is in a bowl, but my kids and Matt all loved it with rice as a burrito. I think this would also be delicious with eggs, although maybe less cilantro if I were going to have it with eggs. We ate this all week, and my husband said he wants to have it on hand all the time from now on! We also enjoyed it on our salads. We love salsa in our house, so this was a great addition. It had more vegetables and some protein with the black beans in it, and to me was a pretty complete meal. Do you do any batch cooking? What are some of your favorite items to have on hand in your fridge? Oh wow, such colorful ingredients! 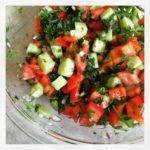 This recipe is right up my husband's alley! This looks like the perfect recipe for a Mexican themed night! It sounds like it would go really well with tacos and chips. This looks so good! 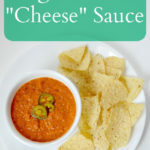 I love bean salsas and this just sounds like it has so much flavor! I am going to have to try it soon! Nice l, my husband loves black beans and he would love this with chips and grilled chicken. I make a salsa similar to this in the summer with my garden tomatoes & corn. So fresh and delish. Thanks for sharing this recipe! Yum, yes with a teen playing two sports this spring, I know I'll need to make bigger batches of food. He's soon to be eating us out of house and home, and his younger brothers aren't teens yet but they still gotta eat. I love black bean salsa and often eat salsa or hummus and chips for a snack. Thanks for sharing this tasty, fresh recipe. That looks so tasty! My family is big on salsas and this is one of our favorites. 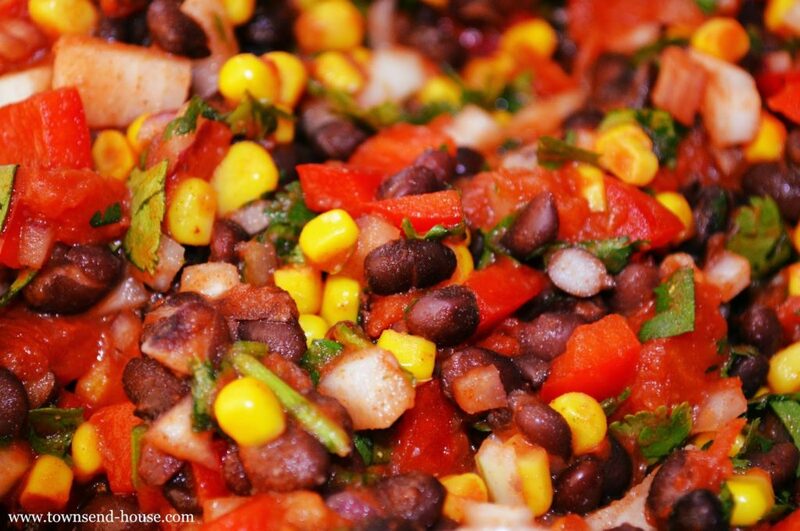 Black bean salsa is always a crowd pleaser in our home. Healthy and delicious! Such an easy recipe but with so many different flavors, I can see how the family would like it! We love black beans, so I would definitely be willing to try this recipe! My husband is all about adding rice to stuff like this and eating it in a burrito. I just might make this for him this week! Now just to hunt down dried black beans and not canned! We love salsa in our house but I'm not a big fan of beans but my husband is. He loves them! I might have to try this for him and see if he likes it but I'm sure he will. Looks yummy! I bet this would be really good with grilled chicken or fish! 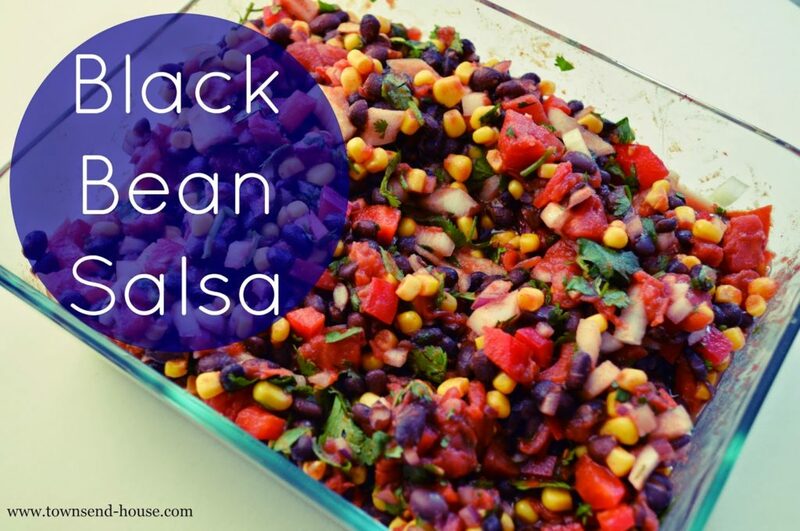 Blackbean salsa is always my favorite! I tend to be heavy on the corn and light on the tomatoes! Do you know that I have never found a black bean salsa recipe? I am so trying this out. I love salsa, but not a huge fan of canned things. This will be perfect – especially with tacos! Great recipe! Looks like all of my favorite things in one delicious bite! Can't wait to try it! ok, officially making this over the weekend…. again!!!! It is soo good! 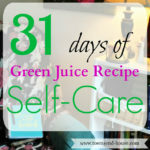 thanks for sharing it with us at Country Fair Blog Party! You are so supportive, and I appreciate you! This looks delicious. Mexican food is a staple at my house, and I'm pinning this so I'll remember to try this for our next fajita night.